“If you can’t hunt with the big dogs, you get up on the porch with the pups”. 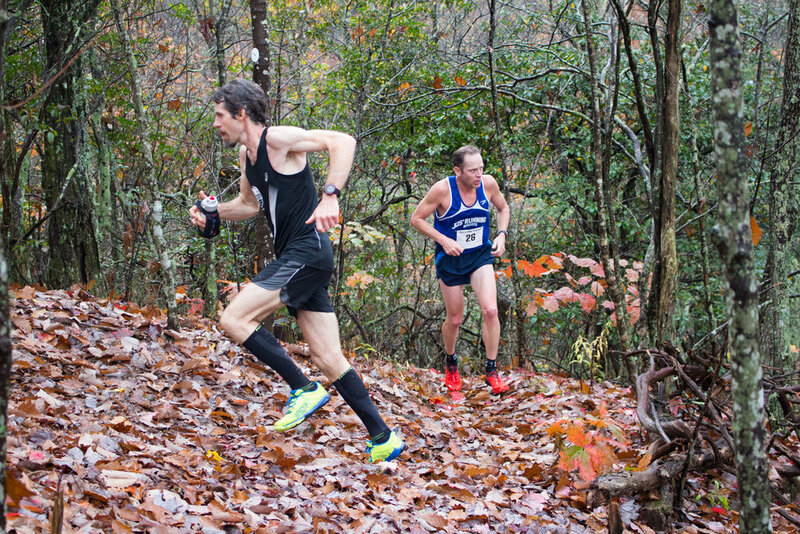 A long-term goal of the Asheville Running Collective has been to compete as a team on a national level. We checked off that box this past weekend at the USATF Club Cross Country Championships in Tallahassee, FL. Year in and year out, this 10k race boasts one of the deepest and most competitive fields in the country. There is no better place for a post-collegiate team to test their standing against their peers. With a winning time of 28:55 (on a rolling cross country course! ), 68 racers finishing under 31:00, and 112 coming in under 32:00, this year’s race was no different. For our first time out, we were proud to represent USATF North Carolina Long Distance Running on the national stage and pleased with our 21st-place “men’s open” team finish, as well as Frankie Adkins’ strong result in the masters race. Next year, we will head into the event in Lexington, KY as a fitter and deeper squad aiming for a top-15 finish. We hope to be joined by other teams in our region, like the Charlotte Running Club and the Johnson City Track Club, as we all work to raise the competitive level of club racing in the southeast. Thanksgiving morning is a time for road racing for many in the running world. Members of the ARC were spread across the country for this holiday, so we had guys line up for Turkey Trots in a couple of different states. Up in Vermont, Frankie Adkins made room for his Thanksgiving feast with a solid 16:38 5k win, while Brent Schouler grabbed the win at his local race on the tip of Cape Cod. *Update: the 2016 race took place on Saturday, November 5th. Photo recap coming soon! With one day to to go to the 2016 edition of the Shut-In Ridge Trail Run, let's take a look back at the front pack from last year's race. It's time to feel the Shut-In hype! Every year, the final minutes before the start are filled with excitement, nerves, and the latest weather reports. The 2015 race saw a quick start with the early front runners pushing the pace and pulling the majority of the field along. 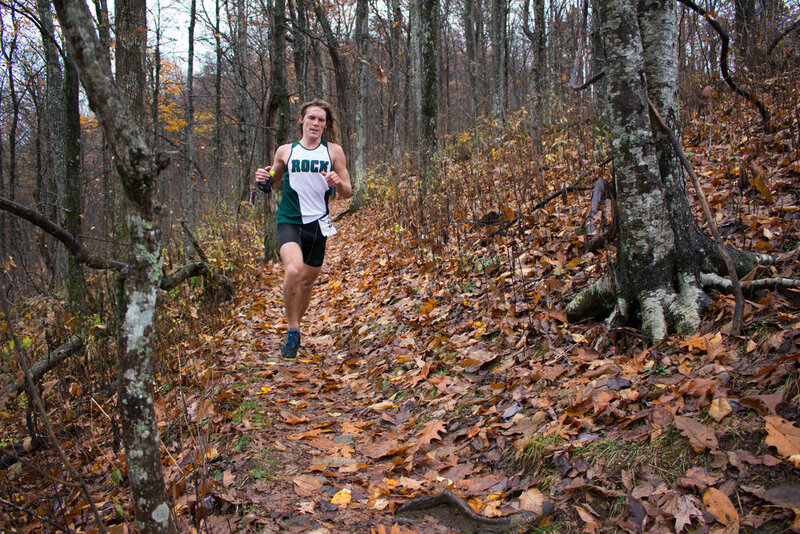 At the start of the single track, three miles into the race, Morgan Elliott emerged in the lead. He was out fast in his debut. Five-time winner, and course record holder, Shiloh Mielke was not far behind. Both runners were well under course record pace. A stream of runners followed. Many were running much faster than planned. Nearing Sleepy Gap at six miles, the first two were clear of the field. Morgan continued to push the pace with Shiloh close behind. The chase pack was broken up by this point and gaps were forming. Javan Lapp, Victor McHenry, Dave Workman, and former-winner Jay Curwen were all in the top ten. 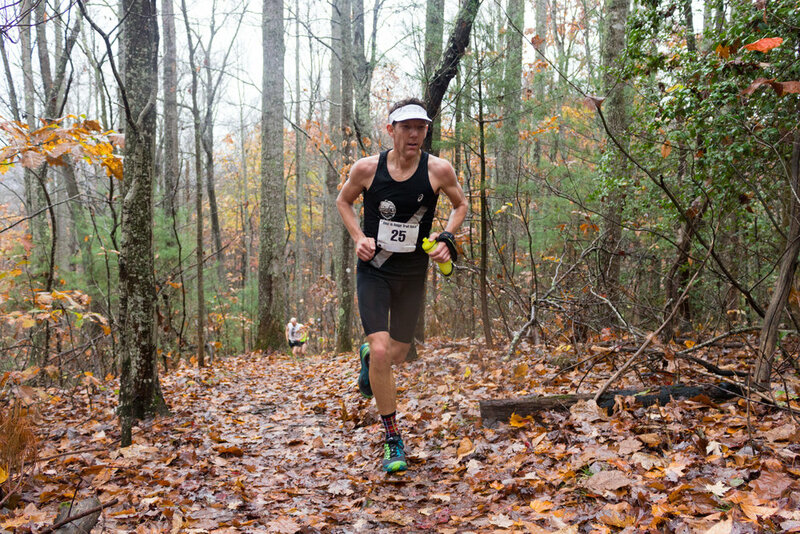 Shut-In is one of the most spectator-friendly trail races around. Support crews and fans follow the racers along the course with vantage points and aid stations set up every few miles on the Blue Ridge Parkway. 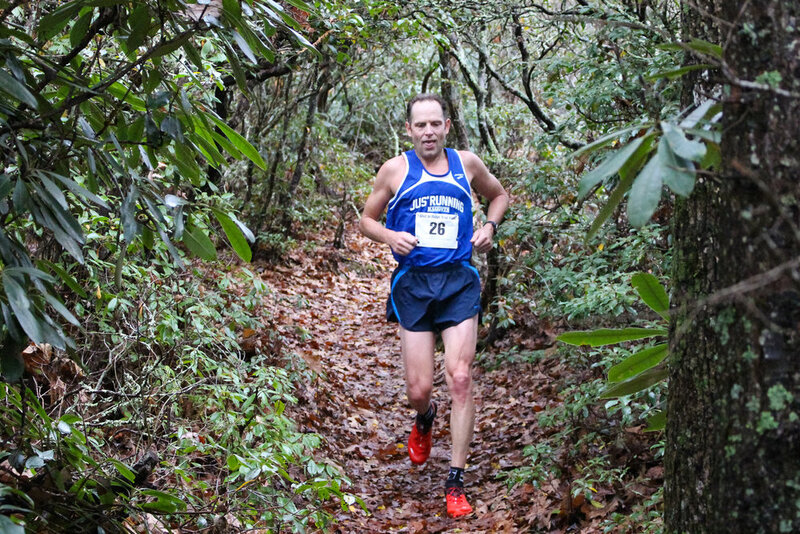 Just past halfway, the runners encounter one of the most challenging climbs of the day at Ferrin Knob. This can be a make-or-break section for many. As Shiloh and Morgan came past, it was clear that the fast early pace was beginning to take its toll. With four miles to go, Javan was alone in third place and beginning to close the gap on Morgan. The final section of trail after Highway 151 is infamous for its challenging climbs that culminate in a final hands-on-knees push to the finish. The final two miles were full of carnage. Cramping and fatigue from the fast early pace forced several of the front pack to slowly walk up the climbs or take long stretch breaks. The positions of the top ten shuffled significantly with those racers who started conservatively making huge jumps up the leaderboard. The final descent to the finish revealed the finishing positions one-by-one. Some racers, like experienced trail veteran Will Harlan, were flying. Others were barely able to manage a jog. In the end, Shiloh grinded out the win, his sixth overall. Brock Phillips moved way up in the final miles to take second and Morgan Elliott rallied after being back in fifth at Highway 151 to finish third. 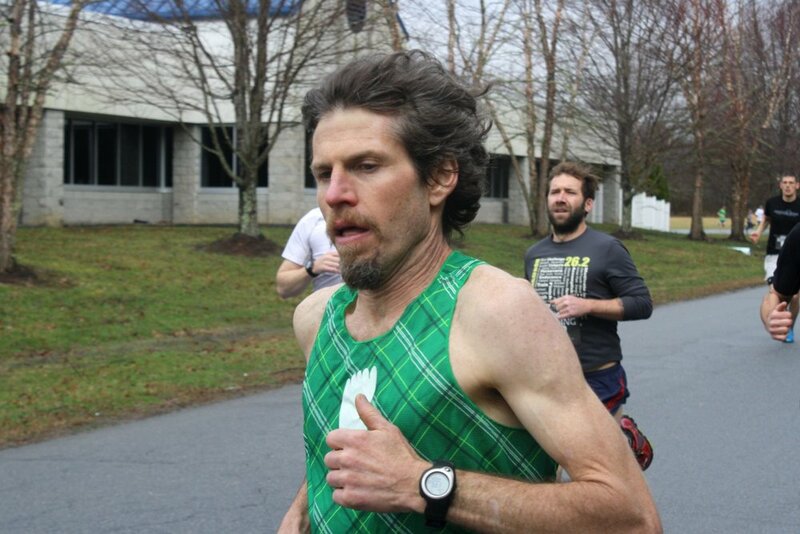 Stuart Moran continued his comeback, and his first road race as a master, on Saturday at the Race to the Taps 8-Miler. The course, which began and ended at New Belgium Brewing, followed the French Broad River out and back through Carrier Park before hitting the long grinding half-mile long climb up Riverview Drive in the final two miles. Stuart and Ethan Doherty (Race to the Taps series leader) were clear of the field early on and ran side-by-side for much of the first four miles. Ethan made a move in the fifth mile and opened up a few-second gap. Stuart hung tough over next mile or so, but Ethan was able to pull away on the final climb. It was great to see a strong battle up front from two local guys. This was a solid rust-buster for Stu (aside from the BRR, it's been nearly a year since his last race). It will be fun to watch his improvement over the coming weeks and months. Brent Schouler running solo mid-race. The first edition of the French Broad River Half Marathon took place this weekend in Marshall, NC. First-time race director, and ARC team member Justin Gragg, had his stress level set to 11 in the final week due to some logistical challenges out of his control. However, the race-day experience was smooth and enjoyable for those who took advantage of the cool temps for 13.1 miles of out-and-back running along the river. The vibrant fall colors were on full display and the runners had the road all to themselves. This race has been in the works for well over a year. The Asheville Running Collective was proud to pitch in (along with a number of local businesses and organizations). Well done, Gragg! Chass Armstrong getting out to an early lead. The ARC didn’t just help with setup. We had a few racers pin on a bib, as well. From the gun, Chass Armstrong led the charge. He opened up a nearly 30-second gap by mile one. While he had to hold off a late-race challenge from Charlotte’s Chad Crockford, he was able to stay out front throughout and take the W just under 1:13. Brent Schouler crossed the finish line next for the Collective by running a steady effort for 3rd. Frankie Adkins spent most of the race solo, but hung tough and stayed in 4th place (1st master) - a solid showing in the early stages of his comeback to training and racing after 8+ months of injury last year. Frankie Adkins flying to the finish in downtown Marshall. Finally, we loved seeing so familiar faces and speedy locals lining up for this new event. We hope to keep the momentum going in 2017, so spread the word about the French Broad River Half Marathon! The ARC had one guy tackle his first 100 miler and two guys race 13.1 miles. While Scott did hit a rough patch in the last 11 miles - due to some sciatic pain - his debut at 100 went pretty damn smooth. This was the culmination of a great deal of work. Congrats to SW on his successful move up in distance this year. 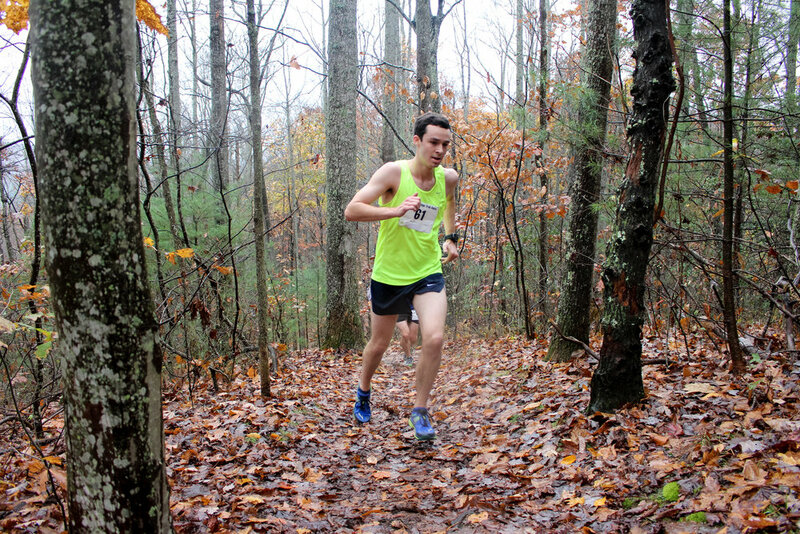 Week in Review: Blue Ridge Relay! "Post-Blue Ridge Relay Hangover Syndrome" is real. Symptoms include acute muscle soreness, general sluggishness, dehydration, an inability to stop smelling certain odors, strained vocal cords, and in extreme cases - queasiness. One way to ensure queasiness, even days later, is a 10-second margin of defeat. The thrill of the back-and-forth race was intense. The pain of BRR victory slipping through our fingers cut deep. We plan to document this battle in depth in the coming days / weeks. In the meantime, check out the recap on the Citizen-Times. Major props to our rivals and this year’s BRR champions, the Charlotte Running Club. They showed grit throughout and fought back to take the hard-earned win. We are grateful to these guys for keeping the rivalry alive and well. Ok, enough nice talk. Take care of our championship belt, boys. We plan to take it back to the mountains in 137 days time at the Winter Classic 8k. Final thoughts on BRR (for today) - there was some seriously impressive racing put forth by Asheville teams and Asheville runners. We loved seeing friendly (and tired) faces throughout the night. Big ups to Norm’s Maggots (2nd masters), Sole Asylum (1st ultra! ), Electro Maggots (2nd ultra mixed), Parkway Poppy-Razzi (1st ultra women! ), and many more! Surprisingly, the BRR was not the only ARC event of the weekend. Out in Oregon, our West Coast operative, Scott Williams, was joined by master ace David Workman for the McKenzie River Trail Run 50k. These guys represented well with 3rd and 4th (1st master for Dave). The ARC's resident mid-distance aficionado, Javan Lapp, ran his last short-distance race of the season at the Waynesville Main Street Mile this past Friday. 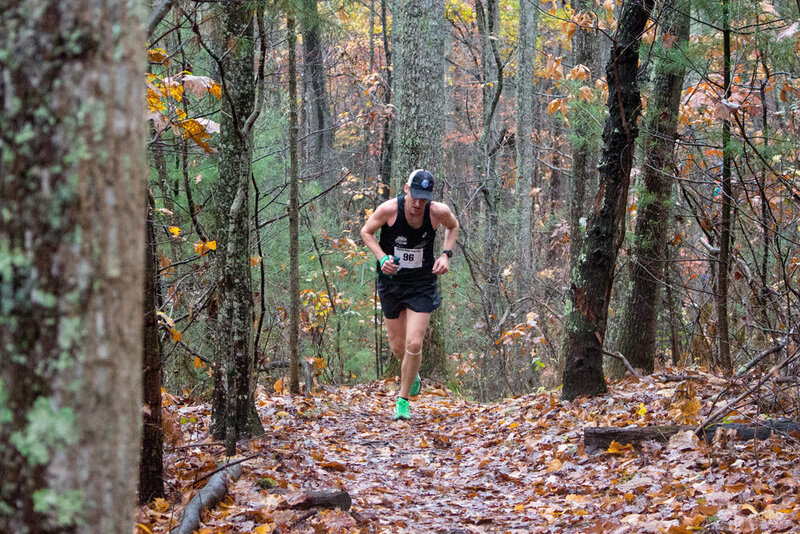 Even though he has already transitioned to long efforts and hill climbs with his sights set on the Blue Ridge Relay and Shut-In Ridge Trail Run, he showed some speed by taking the win in 4:14. This was Javan's third victory at the Waynesville Mile and great prep for the BRR's quick downhills.